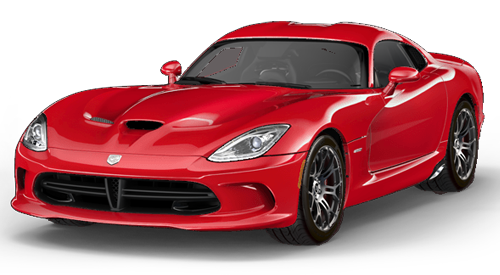 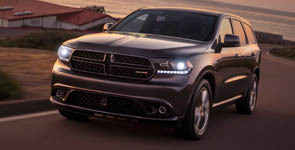 Robust steel, quick shock and spring rates and large sway bars improve driving dynamics. 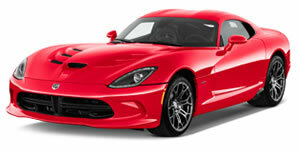 V6-equipped models get electro-hydraulic steering and V8-equipped models get hydraulic steering. 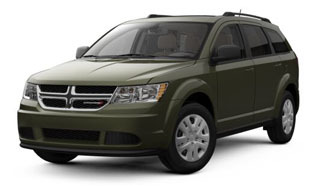 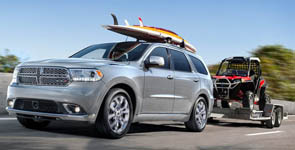 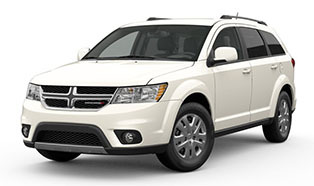 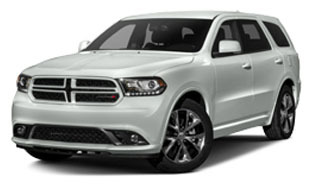 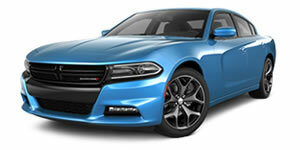 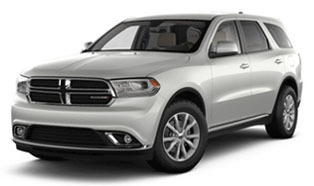 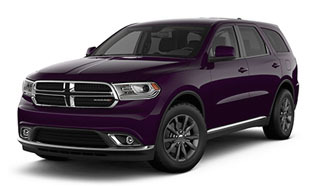 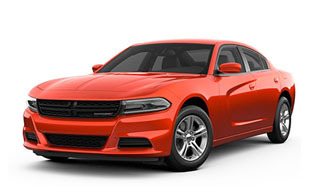 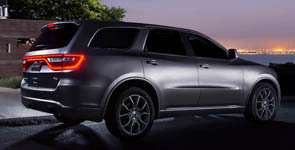 Dodge Durango offers two available all-wheel-drive systems—depending on your choice of engine. 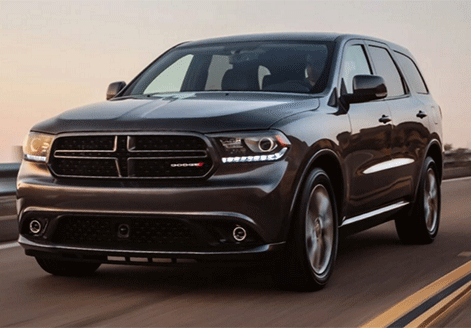 Each system enhances the vehicle’s traction and handling on a range of road conditions. 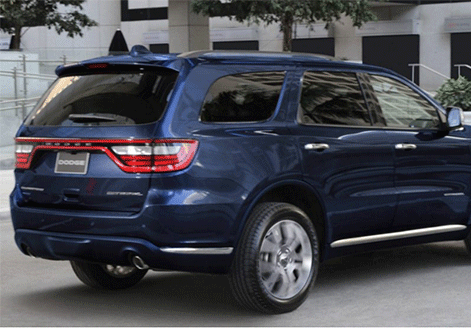 Equip your Durango with the available 5.7L HEMI® V8 engine and you can tow up to 7,400 pounds. 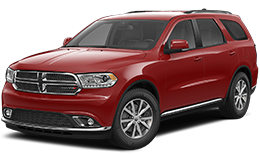 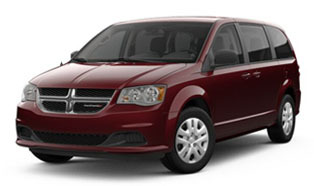 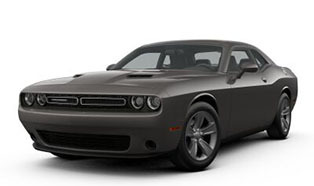 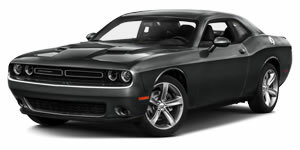 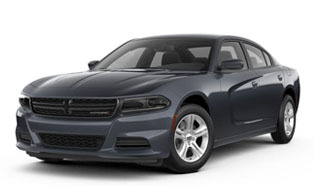 The standard 3.6L Pentastar® V6 engine provides a maximum towing capacity of up to 6,200 pounds. 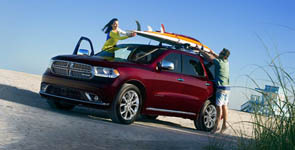 Carry up to 150 pounds with the available Stow N Place® Roof Rack System with stowable crossbars. 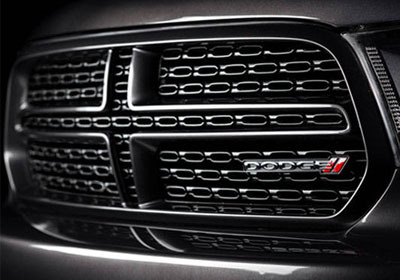 The crossbars can fold into the side rails to improve aerodynamics and reduce wind noise. 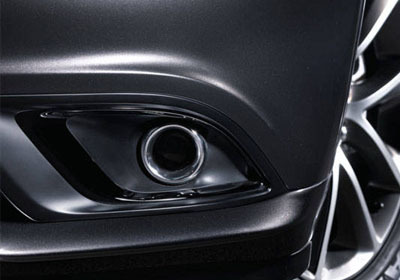 Clearer vision comes from the standard projector fog lamps that help improve visibility in poor weather conditions. 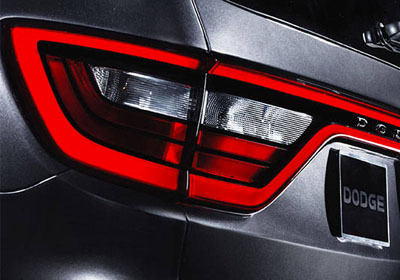 Projector headlamps give a bright view of the open road. 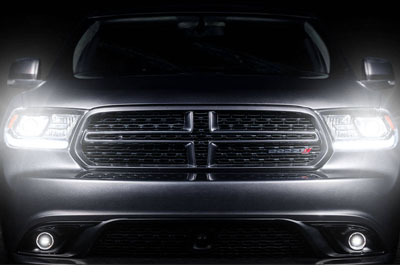 Available LED daytime running lamps, auto-leveling technology and Automatic High-Beam Control Headlamps enhance visibility. 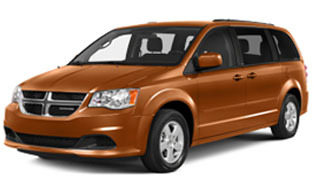 Fit up to seven people or try more than 50 different seating configurations to carry your cargo and passengers. 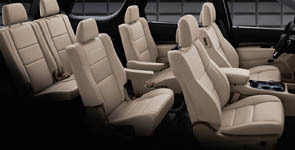 Available premium second-row fold-and-tumble captain’s chairs allow your passengers to move from the second to the third row between the chairs (when the vehicle is not in motion). 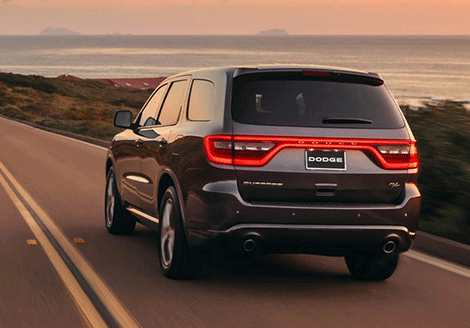 Let your passengers enjoy more than the ride. 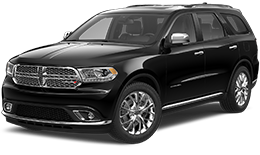 Pop in a Blu-ray® disc for your backseaters with the available 9-inch dual-screen Blu-ray Entertainment System with High-Definition Media Interface (HDMI). 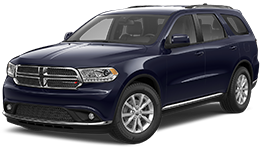 Once you’ve set it, Three-Zone ATC maintains the perfect cabin temperature in each zone—for you, your front passenger and rear passengers, adjusting for environmental changes. 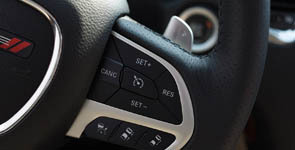 The steering wheel offers a range of standard and available high-tech features to keep control at your fingertips. 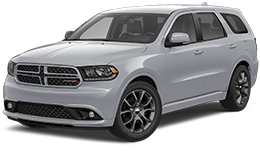 Some features include: Voice commands with Uconnect®, controls to the digital display cluster, and standard on all Durangos, paddle shifters. 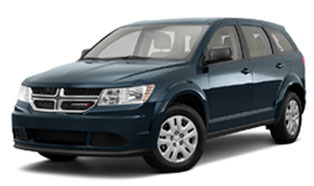 Available Blind Spot Monitoring helps keep you aware of vehicles outside your peripheral vision by alerting you of vehicles entering your blind spot zone. 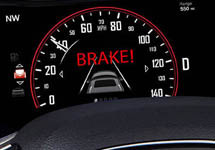 It assists you when making lane changes. 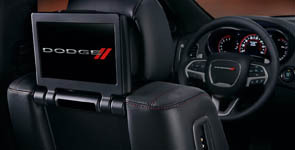 The massive 7-inch customizable Driver Information Digital Cluster Display supplies you with fuel economy data, vehicle status, warning indicators and available Navigation. 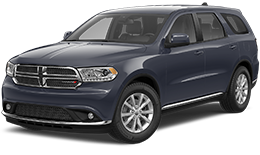 Help avoid potential accidents with the available ParkSense® Rear Park Assist System and the available ParkView® Rear Back Up Camera.